Food waste is an increasingly pressing problem for Europe, and one which has considerable knock-on effects at an economic, environmental and social level. Recent research conducted by FUSIONS, a project funded by the European Commission Framework Programme 7, revealed that the annual food wasted created by member States of the European Union totals around 88 million tonnes, at an estimated loss of 143 billion Euro*. In line with the Sustainable Development objectives adopted by the General Assembly of the United Nations last September, the goal set by the EU is to halve pro capita food waste of retailers and homes by 2030: together these account for around 60% of wastage. In this respect, Epta’s cutting-edge refrigeration solutions not only offer flawless presentation but also outstanding freshness and food safety. All of which guarantees “food that is healthy, safe and available for everyone”. It is a responsible approach, and one wholly in keeping with the concept “The Epta Way UP: preserving #FoodValue”. Using technologically advanced systems, it preserves and displays food perfectly, ensuring its value is maintained intact. In fact the ongoing investments the Group has made in Research and Development bear witness to Epta’s desire to promote the pivotal nature of refrigeration as a vital resource for protecting agrifood assets and counteracting food waste. In Italy we have the prime example of the collaboration between Epta, through its brand Costan, and the Selex associated Roberto Abate Group that has been fighting food waste since 2015 by donating all surplus to the needy through an agreement with Banco Alimentare. The mainly fresh products are collected from retail outlets and distributed to beneficiaries in dishes prepared in food banks and residential facilities or offered to families in financial difficulty. In 2016 Roberto Abate increased the number of supermarkets involved, including also the new Famila superstore in Siracusa that was produced with Costan. 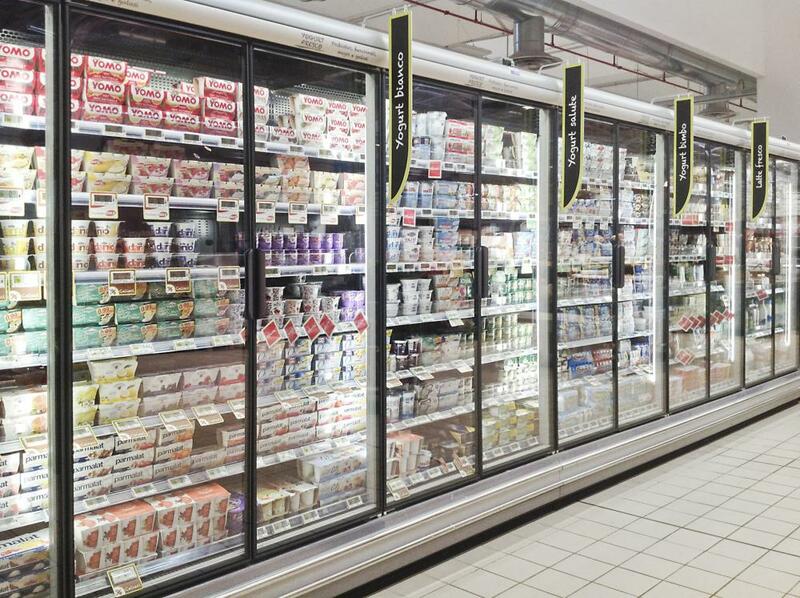 This is a store where efficiency and solidarity merge thanks to the choice of cutting edge refrigerated units that improve the shelf life of products, while maintaining their nutritional properties and organoleptic qualities. William Pagani, Epta Group Marketing Director commented: “We are very proud to have taken part in this important project which allows us to show off our skill in supplying integrated refrigeration systems that meet every need of our clients. At the same time, they meet the community’s goals to counter waste, in accordance with our strategy to spread a culture of food value and proper food preservation, and in keeping with food health and hygiene standards”. Epta, through the Group's Iarp brand name, will be an exhibitor at Tuttofood, the third European Trade Show in Europe to be hosted in Milan from May 3rd through 6th, during the Expo 2015 inaugural week, in the area dedicated to Venditalia's special edition (Pavilion 18, Stand F43). This very prestigious International showcase will offer the opportunity to launch two new Iarp solutions for the world of vending machines: Diamond and Oasi. Top performance and technology are Diamond's major features: this innovative plug-in positive-temperature cabinet provides very high performance levels, in class A++. The equipment features an exclusive electronic price display and a tablet, making it possible for clients to access nutritional details about the products on display. Iarp's commitment to food value is also demonstrated by Oasi, the ice-cream vending machine combining cutting-edge refrigeration technology with an independent control unit, thereby affording a higher level of temperature control and food safety. Moreover, Oasi has a built-in restocking control software and a lit display box to improve interaction with the consumer and boost sales. Among the highlights of the excellent equipment Iarp presents at Tuttofood are the Realook 42 plug-in for beverages and Realook 45, ideal for ice-creams. These cabinets with a built-in unit and a contemporary appeal are highly interactive. An LCD screen integrated in the glass door conveys promotional content and actively involves the consumer in an unprecedented shopping experience. Lastly, the vending machines of the Laser range will be presented, offering the possibility to combine the sale of fresh food products alongside non food products, by totally customising the internal layout. Epta participated again this year in Thaifex, one of the most important Asian events in the food&beverage sector, taking place from 25 to 29 May at the prestigious IMPACT Exhibition & Convention Center in Bangkok, in the heart of Thailand (Hall Ch1; Stand QQ-01). This thirteenth edition was a record event with 38,000 professionals expected to attend and 1,800 exhibitors hailing from 27 nations (+7% more than in 2015) all inside the 80,000 m2 exhibition space that hosted simultaneously three events: World of Food Service, World of Seafood, World of Coffee. Epta was present with its brands Iarp, Misa and Eurocryor, which exhibited a wide range of products designed to meet the specific needs of the Asian market. In particular, Iarp displayed its full line of stylish and compact plug-ins, with Realook as its star product. With its appealing and modern style Realook is also surprisingly interactive, equipped with a 47’’ LCD screen integrated into the glass door allowing promotional material to be displayed, actively involving the end customer in an unprecedented shopping experience. The new line of vending machines for ice cream, snacks and drinks, Iarp City Collection, has a captivating design that sets it apart from the competition, as does its capacity for extreme personalization. More specifically, customers personal branding can be digitally printed directly onto sheet metal in response to the consumers' specific requirements, making every vending machine unique and strengthening the promotion of the items displayed. Thaifex also provided an opportunity to present the new Gondola refrigerated display cases by Eurocryor that, thanks to a perfect blend of transparency and elegance, add a special touch to upscale sales points’ food areas. Lastly, Epta's commitment to ensuring maximum food safety was highlighted by the presence of a Misa coldroom. Its antibacterial Epta Food Defense system employs silver ions to prevent, combat and eliminate numerous species of bacteria to guarantee unparalleled freshness for the typical ingredients found in Asian cuisine.